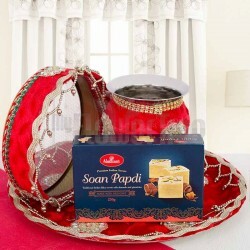 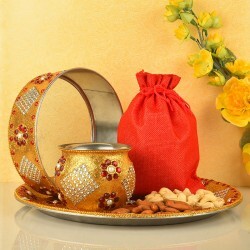 Karwa chauth is an auspicious occasion that needs to be remembered in a beautiful way. 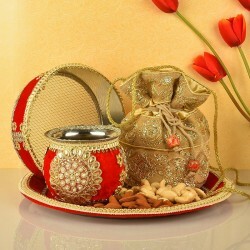 How about you make your woman stand out by gifting her an eye-catching Karwa Chauth pooja thali? 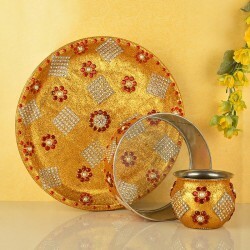 Adorned with your love, these beautifully embellished puja thalis are one such gift that she would love to flaunt off. 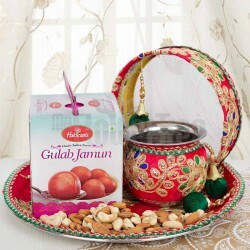 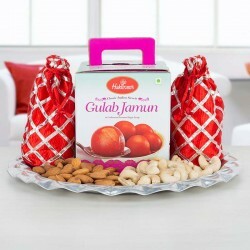 So,here we bring to the vast and exquisite collection of Karwa Chauth gifts online from where you can order and send the best Karwa Chauth pooja thali for her! 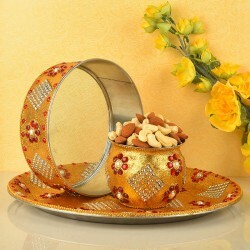 Karwa Chauth pooja thali is an important component of the puja ritual which is decorated beautifully by married women who observe fast for their husbands. 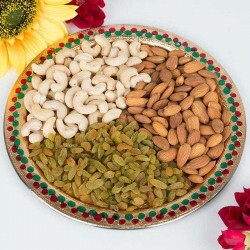 A variety of items including diya, a small pitcher filled with water, sweets, fruits, flowers, kumkum, roli, chawal, haldi, chandan, and incense sticks are decorated on pooja thali. 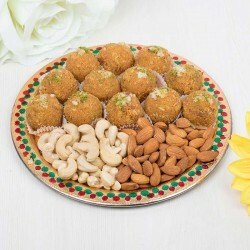 MyFlowerTree has come up with a wide collection of Karwa Chauth Pooja Thali online that you can order to perform the rituals of this festival in a beautiful manner. 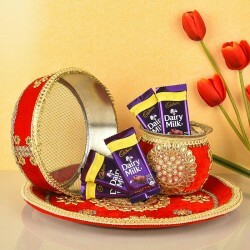 How about delighting the woman you love with a designer Karwa Chauth thali that has been exquisitely designed by experts? 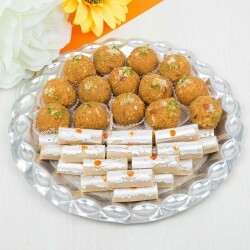 These thalis will turn out to be impressive gift options for your wife and can be delivered with absolute ease to the preferred location of your choice. 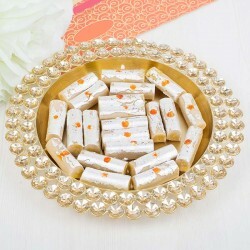 In our website, you will find an exclusive collection of well-decorated and embellished Karwa Chauth pooja thalis that are beyond beautiful. 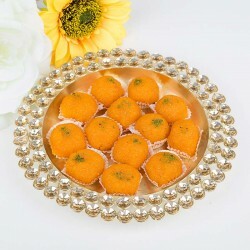 Our Karwa Chauth pooja thalis are packed with the essential items like vermillion, rice, traditional sweets, divine lamp etc. 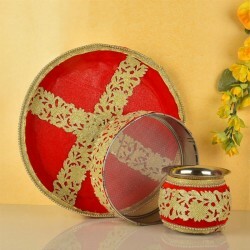 There are exquisite thalis of different designs and sizes. 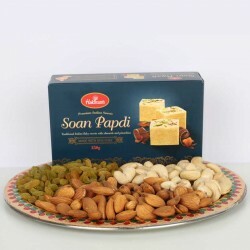 You can pick one of your choices at pocket-friendly rates and send them to any place just by placing an order from our site.